Wells Fargo’s wealth management division continues its major revamp, most recently sending out an internal memo announcing the merger of its private bank and Abbot Downing, Wells Fargo’s ultra-high-net-worth unit, Bloomberg reports, citing the memo. 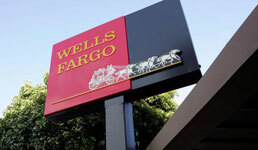 The two units will keep their current branding and services and will be led by someone Wells Fargo has yet to appoint who will report to Jon Weiss, head of wealth and investment management, according to the memo cited by the news service. A spokesperson for the firm confirms the merger to FA-IQ sister publication FundFire. Wells Fargo’s wealth management unit has lost more than 1,000 advisors since the 2016 revelations that employees in the firm’s retail banking division opened millions of bogus accounts. The wealth management unit has been under investigation itself for several months by the SEC and the Justice Department. Earlier this week, Bloomberg reported Wells Fargo is weighing selling off its retirement plan services business. Wells Fargo’s Wealth & Investment Management division includes Wells Fargo Advisors, the private bank unit, Abbot Downing, the asset management unit and the institutional advisors unit, all of which are overseen by Weiss. These developments followed news that Jay Welker, head of Wells Fargo’s private bank as well as its wealth management division, who reports to Weiss, is retiring in March. In June, the Wall Street Journal reported Wells Fargo was planning to combine its Wealth Brokerage Services, which has around 3,400 brokers working out of retail bank branches, with its Private Client Group, which has around 9,500 brokers who work out of the company’s brokerage offices. But the firm told FA-IQ in July it had no such plans. Wells Fargo had 14,074 financial advisors overall at the end of the third quarter. To read the FundFire article cited in this story, click here if you have a paid subscription. To read the Bloomberg article cited in this story, click here.